Axel Heinz is not what you would expect of a Tuscan winemaker. Half German, half French, he speaks English with a perfect Received Pronunciation public school accent, the result of a UK school education. 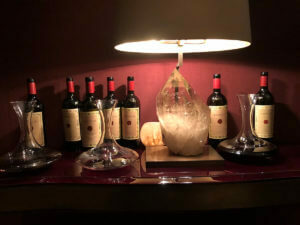 He is also thoughtful and philosophical about the great issues surrounding wine – and how he has helped turn Masseto, the jewel in the crown of the estate he runs, from being just another good Italian red, to one of the world’s greatest wines, on a par with Chateau Lafite and Petrus, within just 15 years. Axel was on sparkling form while hosting a dinner for friends of LUX in London this week, introducing some wonderful vintages of Masseto. The 1998 showed the mark of a truly great wine, having developed into a subtle kaleidoscope of delicate flavours and layers. I asked Axel what it was that allowed some wines to develop this astonishing complexity with age – to improve, rather than just get older – and his answer was that it is a blend of magic and expertise. Of the eight vintages we tasted, the 2006 is the most celebrated, but my favourite was the 2010, with its blend of power and poetry. Masseto is also changing, for the better, with a new winery opening on its estate on a hillside above the Tuscan coast, next year. It’s a magically beautiful place, and the place, and its creations, were celebrated with much gratitude and joy at our private dinner in London.